Colors: Midland red, yellow stripes. The first regular trans-Atlantic steamer had started in 1838 from Bristol. The leading port however became Liverpool. 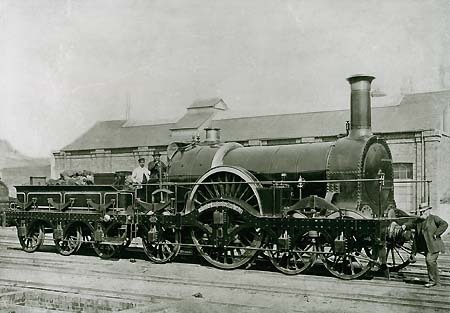 In 1838 the railway from London to Liverpool was completed, the later London & North Western Railway (LNWR). It is not known when the first Ocean liner specials appeared. 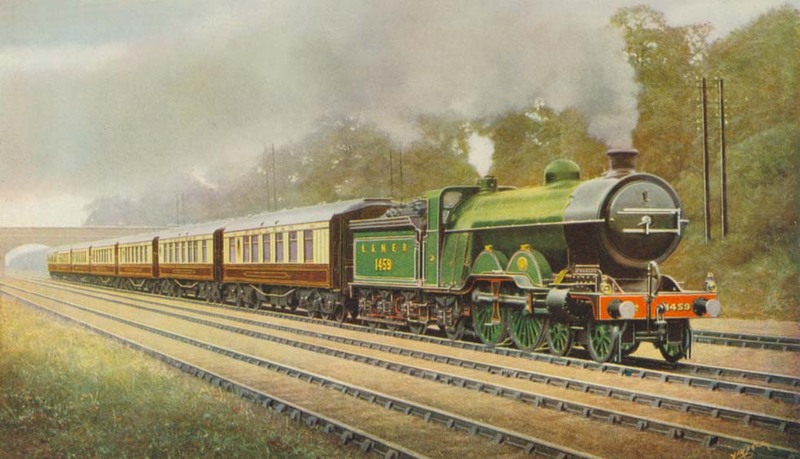 In 1898 started the American Special at London Euston Station for the Cunard and the White Star liners - described as the "crackiest among the crack trains". In 1907 once again new corridor train sets appeared. The dark-red/cream colored specials could go straight to the harbor. The new Riverside station from 1895 was reached through a tunnel, where saddle tank condensing locomotives replaced the express passenger engines. In 1923 LNWR and the competing Midland Railway formed the LMSR and their dark-red specials continued to run. 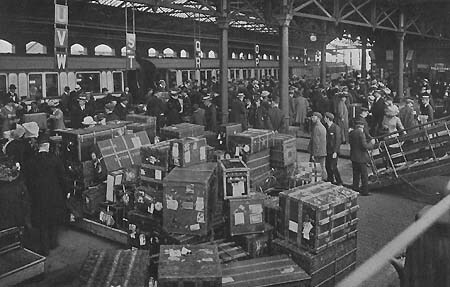 However, Liverpool steamer services got scarce and in 1971 the Riverside Station was closed for ever. 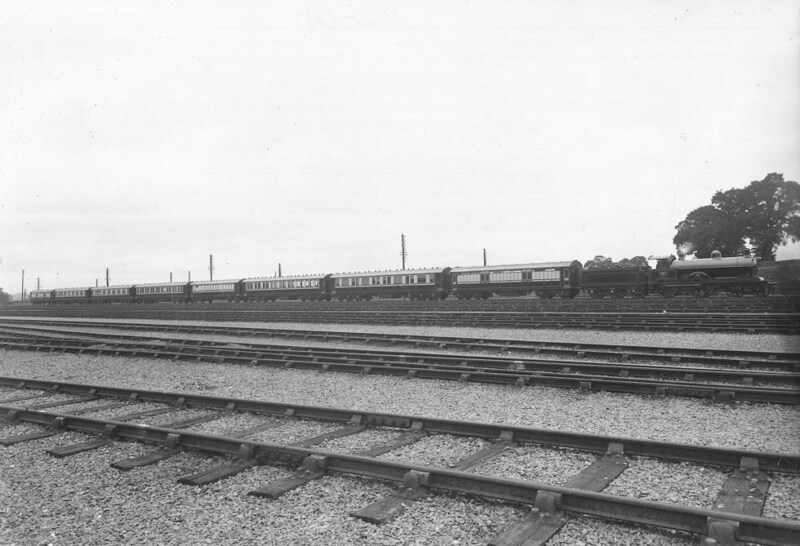 Only from 1904 the Great Western Railway (GWR, re-gauged from 7ft ¼ in to standard gauge) participated in the Ocean Mail traffic from Plymouth and from 1909 also for a short time from Fishguard in the West to London. The most spectacular locomotive was its "City of Truro", which in 1904 established a European speed record with more than 160 km/h. 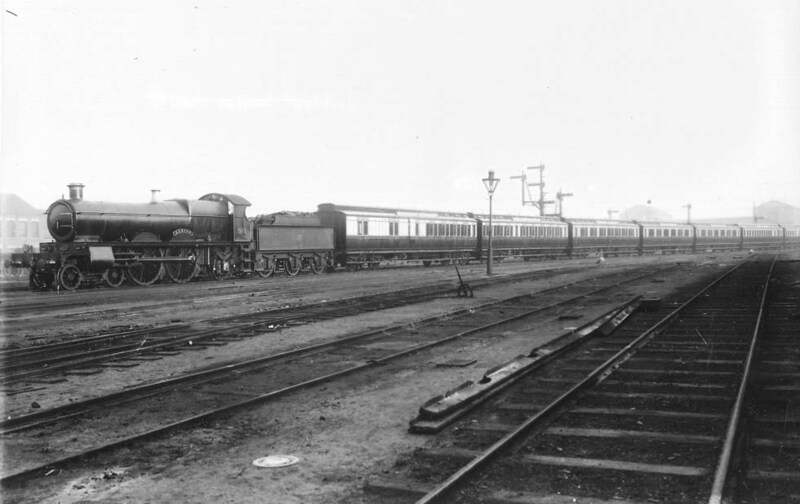 The GWR operated also a West Indian Boat Express, but not very much is known about that special, documented by a photograph with GWR's Atlantic engine "Albion". 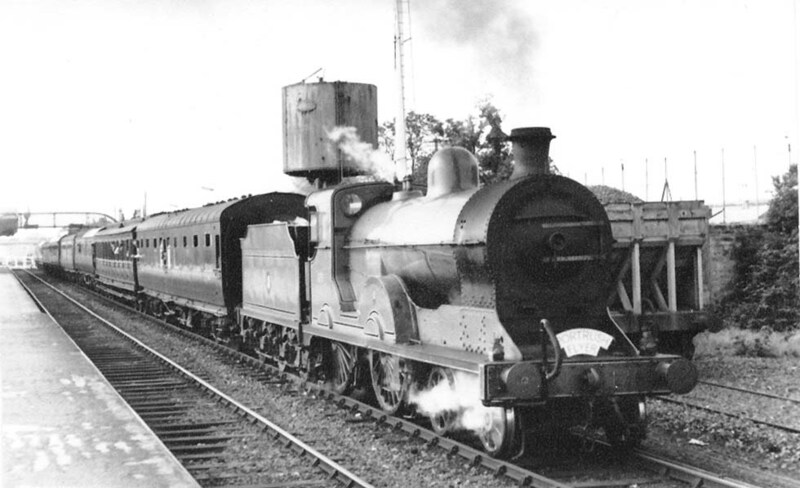 In 1931 GWR introduced its own brown/cream "Pullmans" (nos. 9111 - 9118) on London Paddington - Plymouth specials. The last Pullmans were reported around 1959, attached to ordinary trains. 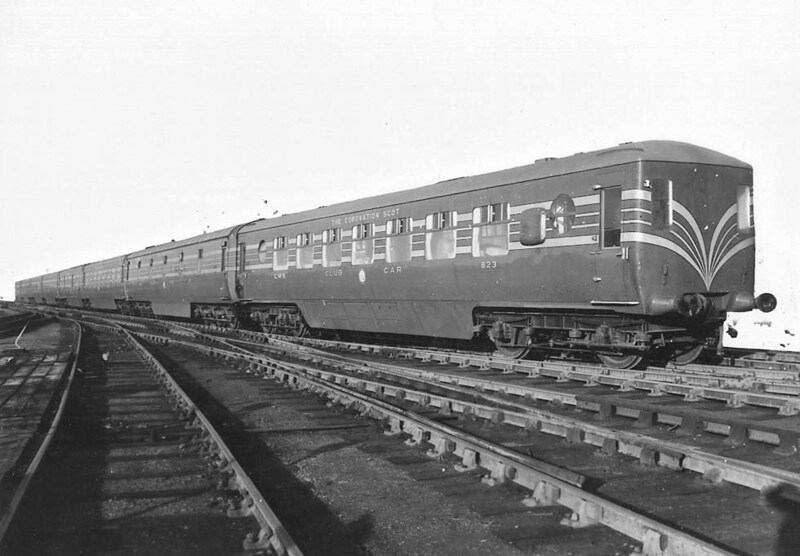 From 1903 to 1910 also the London and South Western Railway (LSWR) did run specials Plymouth - London, then the sleeping cars were sold to GWR. Southampton had already in 1856 “boat-trains” of the LSWR from London Waterloo in connection with the Union Line to Cape Town. Under Sir Herbert Walker the LSWR built docks at Southampton and in 1912 White Star’s “Titanic” undertook the voyage from this port. The trains, according to N.E. 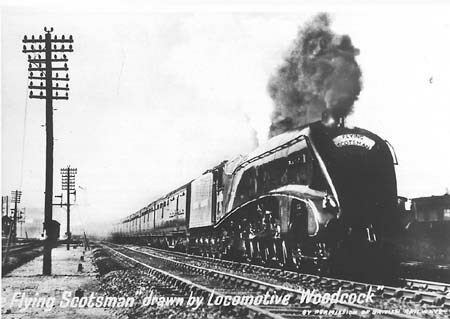 Norman, consisted of loose vehicles, but around the turn of the century special trains were built. Locomotives were the 4-4-0s by Adams and Drummond and then 4-6-0s. In 1931 the “Queen Mary” started from Southampton and Pullman saloons were introduced. 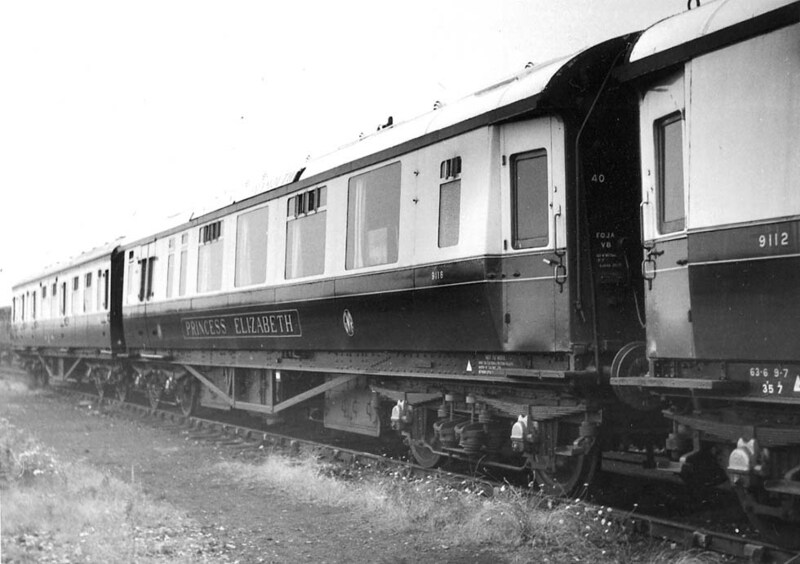 The “Queen Mary” needed five special trains, one of them consisting exclusively of Pullmans. 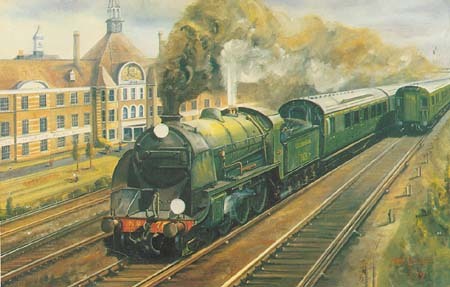 Sensational were also the green “Merchant Navy” Pacifics on the Southampton line with their square casing, then removed. In 1963 the Pullmans had the last run. Then the few Ocean Liner expresses decayed, until James B. Sherwood provided his re-emerged VSOE Pullman services for Q.E.2 passengers. There had been also quite another mail route. Jules Verne on his return trip from America in 1867 saw it at Queenstown, now Cobh, at the southern tip of Ireland: Mail bags were unloaden from the steamer to a special train northbound. 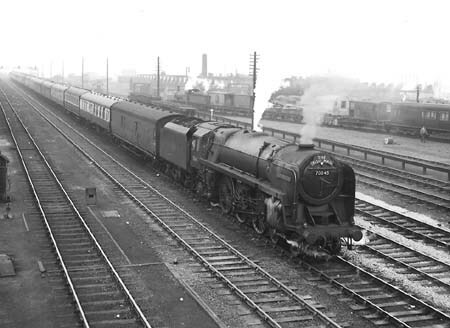 At Dublin they were taken over by a fast steamer which seemed to consist of engines only, to Liverpool. From London, passengers could take the ferries to Ireland and then a train to Cobh, the last stop of the Cunard liners on the way to America. 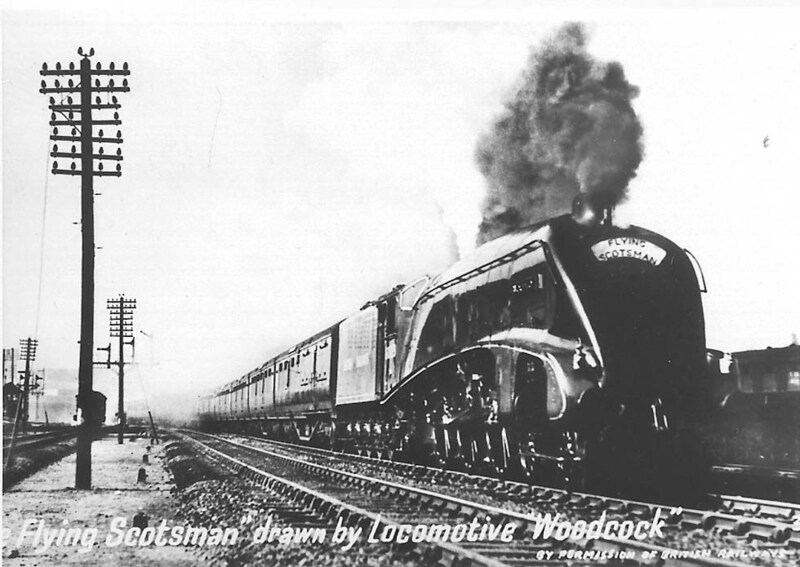 After in 1923 the LMS had been formed, black/dark-red tenwheelers and then the beautiful Stanier Pacifics, the streamline casing removed, hauled the heavy train, known as “The Wild Irishman”. 1849: Dublin - Cork (GS & W, broad gauge 1.60m) completed. Mail specials Cork - Dublin were reported connecting with mail boats Dublin - Liverpool. 1850: Irish Mail London - Holyhead (by LNWR) steamer to Dun Laoghaire, boat-trains to Dublin and Cork. 1898: American Special London - Liverpool (by LSWR). 1904: Ocean Mails Special Plymouth - London (by GWR). 1909: Cunard Special Fishguard - London (by GWR, until 1914?). 1931: Ocean Liner Express London - Southampton with Pullman Saloons. 1939: Specials London - Southampton connecting with BOAC flying boats, until 1945 to Christchurch or Poole. 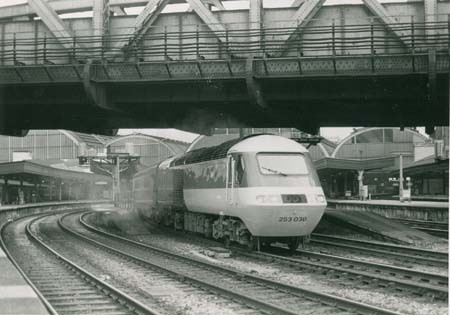 1971: Liverpool Riverside Station closed, but Ocean specials there disappeared long before. 1988: End of the Irish Mail. 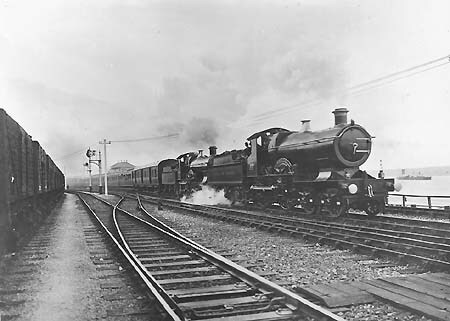 Traction: "City of Truro" (4-4-0) Plymouth - Bristol, "Duke of Connaught "Bristol - London. Colors: Brown/cream, locomotives black/green. Ocean Special Plymouth Stonehouse Pool - London Waterloo, by LSWR. Plymouth - London Paddington connecting with the "Queen Mary", in May 1937: Two specials consisting of the GWR saloons series 9111 - 9118. 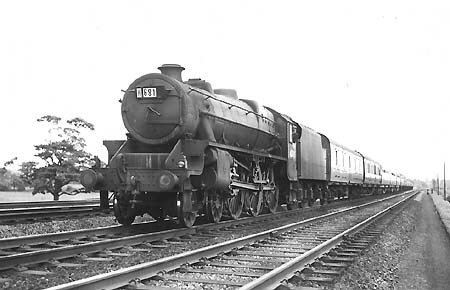 Traction: "Castle" class (4-6-0), on Devon bank an additional 4-4-0. "Ocean Liner Express Waterloo and Southampton Docks"
Southampton - London, 1937, by LSWR: For the "Queen Mary" 5 trains were running, two of them being specials with up to 12 Pullman cars (day saloons), Traction: "King Arthur" or "Lord Nelson" class (4-6-0). Colors: Pullman brown/cream, LSWR cars green, locomotives black/green. 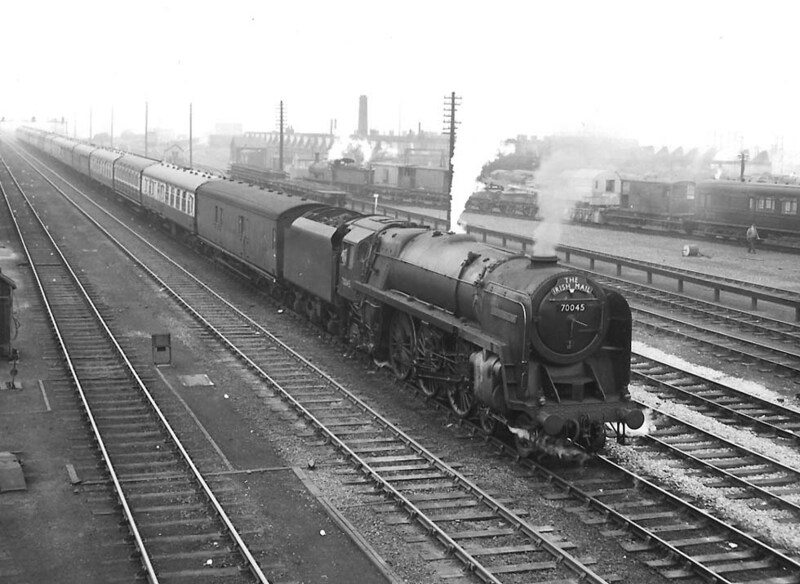 London Waterloo - Southampton Docks, from c. 1946 up to 3 Pullman specials for "Queen Elizabeth", "Statesman" for the United States Line, Pullmans withdrawn in 1963. Traction: "Merchant Navy" Class (4-6-2, in 1956 streamlining removed). On January 12, 2004, the "Queen Mary 2" had its first trip from Southampton to New York. 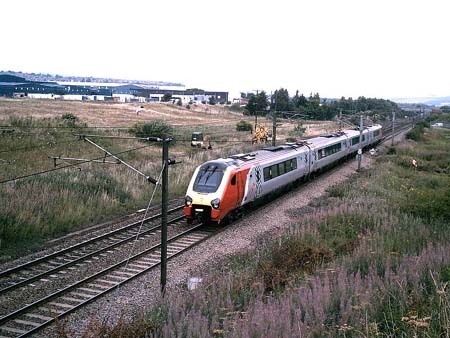 Traction: electric 86 222 London - Crewe, diesel class 47 Crewe - Holyhead.